Hello There! Hope this post finds everyone doing fantastic and taking time out to enjoy the holiday season! Sorry I have been such a loser about posting this year, I plan to do a MUCH better job in 2016! My last post was in August and was all about losing weight. 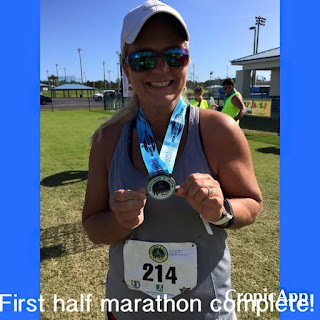 I had such tremendous support both here on the blog and on Facebook, I thought it was time to update you again. 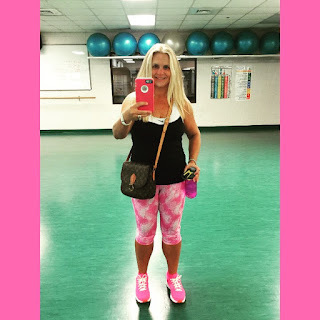 How I'm Losing The Weight - And You Can Too! Hello Everyone! Hope you're doing fantastic and enjoying these HOT summer days. I am a certified beach bum and sun lover, but this weather even has me looking forward to cooler temps! Yesterday was my 45th birthday (even I can't believe I'm this old). Anyway, I digress. I posted the above picture yesterday on my Instagram and Facebook pages, proving a point that even on my birthday I managed to squeeze in a short workout. This picture has led to a lot of questions from FB friends about how I'm losing weight, as I have now lost 51 pounds. So I decided to start documenting some of my habits and what I am using, what I've learned, etc. Let's start with some of the questions I've received. Hopefully this will help others in their weight loss and fitness battle...because believe me, it's a battle. No doubt about it. My Weight Loss - 48 Pounds Down, More To Go! Hello and Happy Almost The Weekend! I promised I was back and here I am again! I wanted to share part of my recent journey with you all. 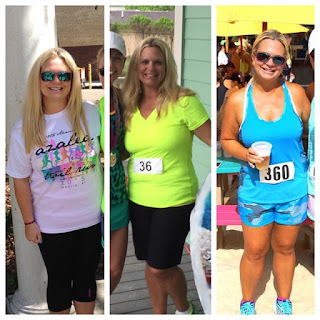 In December of last year, I made a decision to get my health back. My weight was out of control and I was concerned for my general health. Health issues in my family include cancer, heart disease, high blood pressure and diabetes. I had no desire to be diagnosed with any of these either now or in the future. While it's true, we can only do so much to fight genetics, I was determined to do everything in my power. On December 26, 2014 I took some of the money I was given at Christmas and bought a year's gym membership. I paid in cash, for the entire year of 2015. I figured what the heck, if it's paid in full, I would feel guilty if I didn't go and do the work. I'm BACK - For Good This Time! Hello my friends! It's been a long time since I blogged regularly and I have really missed it! I've made the decision to blog again, likely 3-4 times per week. I sure hope some of you are still with me and will read! What has everyone been up to? I left my job (which I really didn't enjoy) the day after Christmas 2014. Since that time, I have been blissfully unemployed and working on myself. I've been dieting and exercising and have lost some weight, and plan to lose a lot more! I have also been enjoying the summer with family and friends here at the beach. My plans for future posts: diet and exercise tips along with what has worked for me, healthy recipes (we'll start with Meatless Monday and my experiments), fashion finds including my favorite current Lilly Pulitzer pieces, and much much more! Who is still with me? Take a moment to drop me a comment! Have a fantastic Tuesday, I'm off to Yoga. 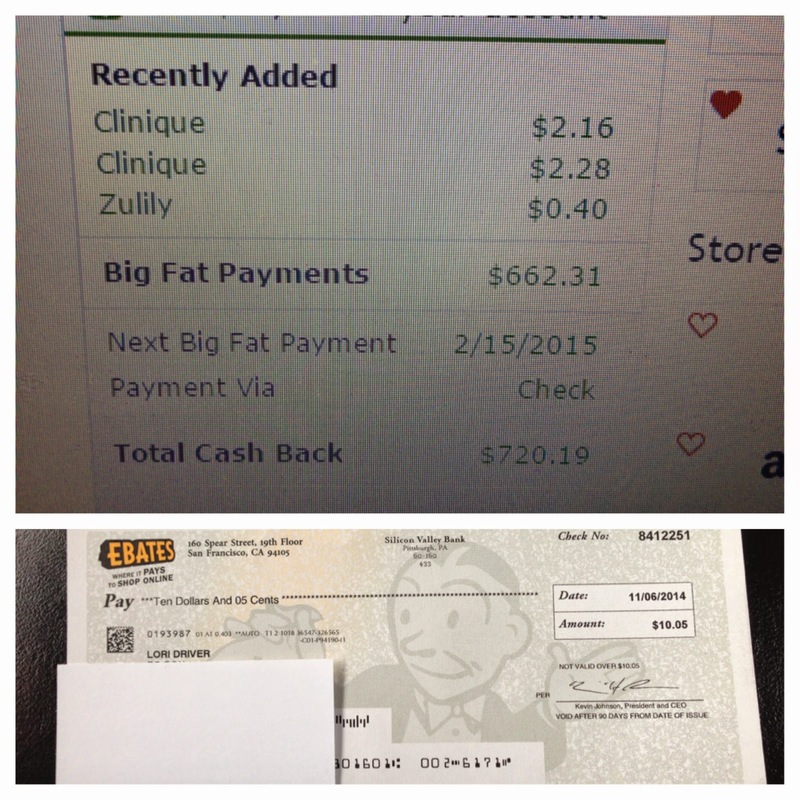 New Years Resolution: Use Ebates! Happy Holidays! Hope Santa was good to you all - it was a crazy holiday for us, and now I can't believe it's almost 2015. Wow - where has the year gone? Seems like it was last week when we were all making New Years resolutions for 2014. Happy Thanksgiving! How are you celebrating the day? We are visiting family in Mobile. My house smells wonderful this morning, as sweet potato souffle and corn casserole are currently in the works. Those two dishes are always my contribution to the family Thanksgiving meal. Have you started holiday shopping? I have to admit, I'm a little later than normal getting started this year. Over the past two days, I have picked up a few gifts. It's finally setting in - Christmas will be here very soon! Throughout the holiday season, I will be blogging about my favorite things and sharing deals with you all. Hope you enjoy the posts - it's going to be a lot of fun for me. I have missed blogging and am glad to be back. Shopaholic Returns - Anyone Out There? I am planning to return to regular blogging, but I wanted to ask a question first. Do you still read blogs? Has Instagram replaced a traditional blog? I would love to blog again, but I don't want to talk to myself! HA! And I have lots of things I'd like to throw out there for discussion. Comment and let me know! I can't wait to hear what everyone has been doing. Married SAHW, 4o-something Years young, daughter, sister and aunt. I love to shop and will be blogging about all my designer finds, great sales, cosmetics and skin care, whatever is on the menu today! Let's have fun shopping and smiling together!